unless the HOME option is chosen. 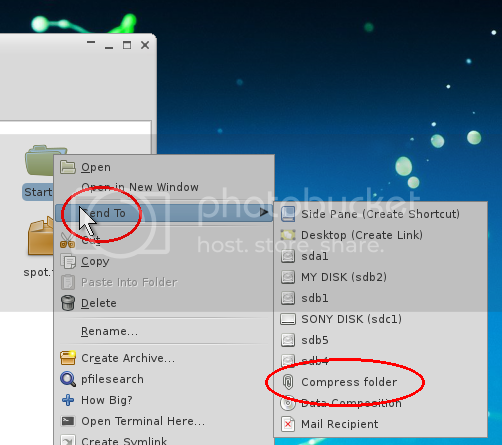 EDIT: New version 1.5 corrects desktop file and adds small features. Last edited by don570 on 17 Jul 2012, 00:35, edited 2 times in total. I'd like someone to continue to improve Squeeze. Puppy linux uses either Xarchive or Xarchiver. an app to extract the files from a debian package. It shouldn't be to hard to write since they exist in Puppy linux. which I'm already finding useful. I made the change . is it possible to adapt it to decompress? I've already written an app that extracts Puppy packages which I'm already finding useful. Then you can unpack the data file for the goodies. I made an app to extract pet packages . I improved it to extract from debian packages as well. It's very useful in making xzm modules from debian repositories.